Nothing is more frustrating than finding out that the IRS has come to a conclusion on your tax matter and their assessment in no way aligns with yours. This is where appeals comes in. If the IRS issues a determination with which you disagree, there are several options you can exercise to file an appeal. Like trying to understand how the IRS operates, navigating the area of appeals can also be a daunting task. Without having the right answers, it is easy to get caught up in the system. You may end up right back where you started or even worse, you may do so having spent a large amount in fees. Should you file informal appeals and call it a day? 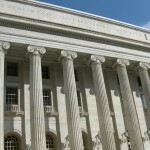 Should you file an appeal with the US tax court? Or should you fall somewhere in between? The answer to these questions is…it depends on your circumstances. Even if you have a high chance of winning an appeal, you still need to weigh the benefit of a positive outcome with the cost of going through the motions. There are numerous things to consider when determining if and how you should file an appeal. Trying to make these types of decisions on your own or based upon advice from a representative not seasoned in this arena will quickly become overwhelming, cost you unnecessary fees and greatly increase the chance of receiving a less than desirable outcome. You need to place your trust in someone that knows where your options lie; and, although you may think you have exhausted all available options, you may actually have another “bite at the apple” when considering appeals. Whether you are appealing a tax audit, collection matter, offer in compromise rejection or other item you need make the journey with Tax Resolution Institute on your side. We have a full staff of CPA’s and Tax Attorneys that can handle your appeal from start to finish.